﻿ Alloy Steel A182 Forged Flanges, Astm A182 GR F5 Flanges, Alloy Steel GR F5 Flanges Exporter. 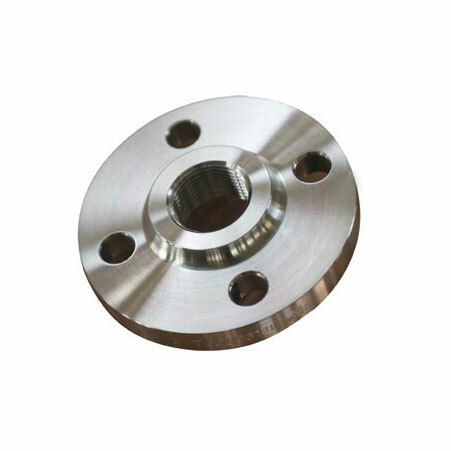 Alloy Steel Flanges, ASTM A182 Alloy Steel Slip On Flanges, F5 Alloy Steel Weld Neck Flanges Exporter, AS GR F5 Awwa Flanges, ASTM A182 Alloy Steel F5 Body Flanges Supplier. Amco Metals an ISO 9001: 2015 certified company, that offer variation and quality set into a durable product line that embodies perfection. We, at Amco, offer premium goods and services to our customers with dedication. We give preference to our clients and work on providing complete product satisfaction. 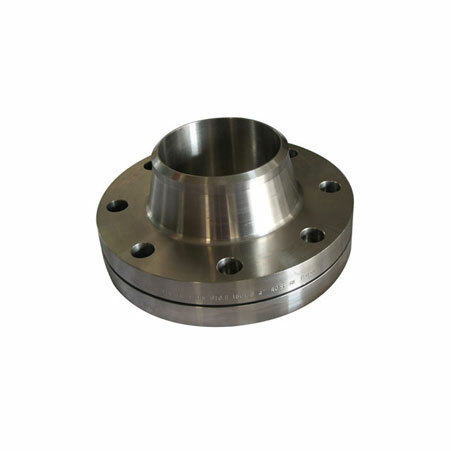 We are a manufacturer, trader, stockist, supplier and exporter of ASTM A182 F5 Alloy Steel Flanges that conform to the ASTM Grade A182, which is a specification for rolled or forged Alloy flanges for high-pressure services and systems. We offer Alloy F5 Flanges that are of superior mechanical properties, with high yield and tensile strength, for a superior work performance. We provide our customers with ASTM A182 F5 Alloy Steel Male & Female Flanges which are open to the process of precipitation hardening for stronger, abrasion-resistant and anti-corrosion flanges for the aerospace and steel making industry. We deliver products with full certification, also offering complete customization options to meet market trends and demands. ASTM A182 GR. 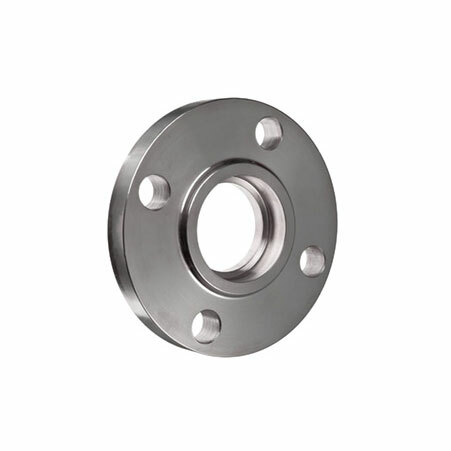 F5 Series A & B Flanges, Alloy Steel F5 Blind Flanges Manufacturer, GR F5 Alloy Steel Flanges, ASTM A182 F5 Spectacle Blind Flanges Supplier. Oman, Ghana, Peru, Libya, Israel, Zimbabwe, Azerbaijan, Malaysia, Kazakhstan, Mexico, United States, Singapore, Lebanon, Yemen, Belgium, Turkey, Romania, United Arab Emirates, Sri Lanka, Mexico, Chile, France, Estonia, Nepal, Gabon, Denmark, Russia, Finland, Bahrain, Argentina, Belarus, Bulgaria, Nigeria, Italy, Costa Rica, Kuwait, Jordan, Netherlands, Germany, Chile, Ukraine, South Africa, Poland, Slovakia, Iran, Kenya, Australia, Switzerland, Croatia, Indonesia, Serbia, Ireland, Brazil, Iran, Philippines, Saudi Arabia, New Zealand, Canada, Colombia, Angola, Thailand, Taiwan, Czech Republic, Hong Kong, Lithuania, Hungary, Portugal, Poland, Morocco, Puerto Rico, Iraq, Trinidad & Tobago,Tunisia, China, Bangladesh, Nigeria, Norway, Sweden, Mongolia, Bhutan, Bolivia, Egypt, Vietnam, Japan, Afghanistan, United Kingdom, South Korea, Namibia, Tibet, Greece, India, Algeria, Macau, Pakistan, Qatar, Ecuador, Austria, Venezuela, Spain, Gambia. Indore, Ulsan, Cairo, Rio de Janeiro, Chennai, Ranchi, La Victoria, Vung Tau, Bangkok, Nagpur, Kuala Lumpur, Moscow, Rajkot, Bengaluru, Hyderabad, Atyrau, Karachi, Kanpur, Gurgaon, Coimbatore, Aberdeen, Al Khobar, Granada, Doha, New Delhi, Vadodara, Ernakulam, Brisbane, Kolkata, Santiago, Nashik, Hong Kong, Navi Mumbai, Port-of-Spain, Ankara, Singapore, Jamshedpur, Caracas, Dammam, Secunderabad, Thiruvananthapuram, Faridabad, Al Jubail, Pune, Calgary, Algiers, Gimhae-si, Pimpri-Chinchwad, Geoje-si, Chiyoda, Chandigarh, Busan, New York, Jaipur, Visakhapatnam, Mumbai, Madrid, Melbourne, Montreal, Noida, Courbevoie, Lahore, London, Dubai, Sharjah, Mexico City, Bhopal, Ahmedabad, Dallas, Istanbul, Toronto, Perth, Hanoi, Colombo, Muscat, Petaling Jaya, Lagos, Kuwait City, Edmonton, Thane, Houston, Los Angeles, Tehran, Riyadh, Howrah, Manama, Jakarta, Sydney, Seoul, Ludhiana, Ho Chi Minh City, Surat, Haryana, Abu Dhabi, Baroda, Jeddah, Ahvaz, Milan, Bogota.